Blocks Killer a new app just released for Android and iOS. Forget all your business and play but be careful, the game will steal you. Download it for free now!!! 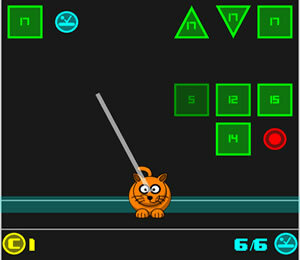 A new game for Android and iOS. 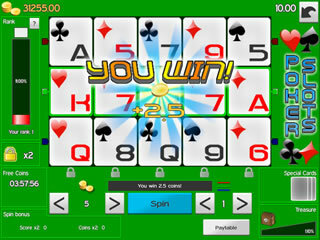 "Poker Slots", a slot machine simulator where you win with poker rules. Have fun with this slot machine simulator with colorful and funny graphics, exciting sound and visual effects, great wins! If you like pair, two pairs, straight and flush please download now this nice app for free and good luck with Poker Slots !!! Performed School Themes is a collection with a lot of italian educational issues on various topics in ebook format useful to get prepared to the classworks or to the school examination and now is available also for iPhone and iPad. The themes are all in Italian and include topics such as literature, history, current events, Divine Comedy and more. You can read all the themes also offline. Mr. Tomato is now available for iPhone and iPad. 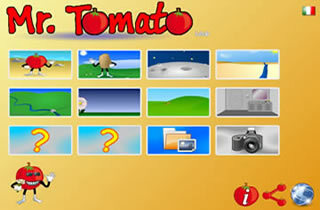 Mr. Tomato is a pictures, colors and sounds game for childrens. In this kids game you can place a lot of objects in differents scenes. You can also use the app as soundboard and you can save and share the scenes you create. You can also use your device's camera or your image gallery to create custom scenes.